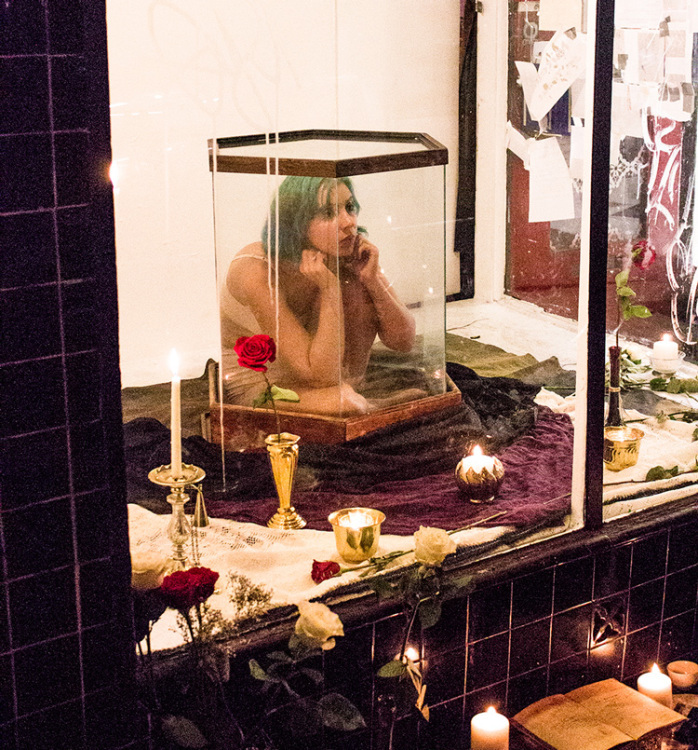 Artist Mirabelle Jones confined herself to a small glass case for 12 hours in Comfort & Civilization, a performance art piece that took place in a storefront in San Francisco’s Mission district on November 15, 2014. 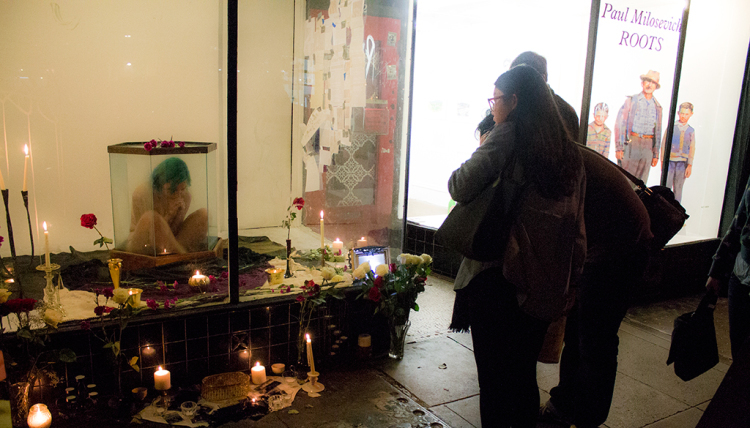 Jones staged the performance as a commentary on the status and treatment of women in the Bay Area and the shifting economic reality of the region. 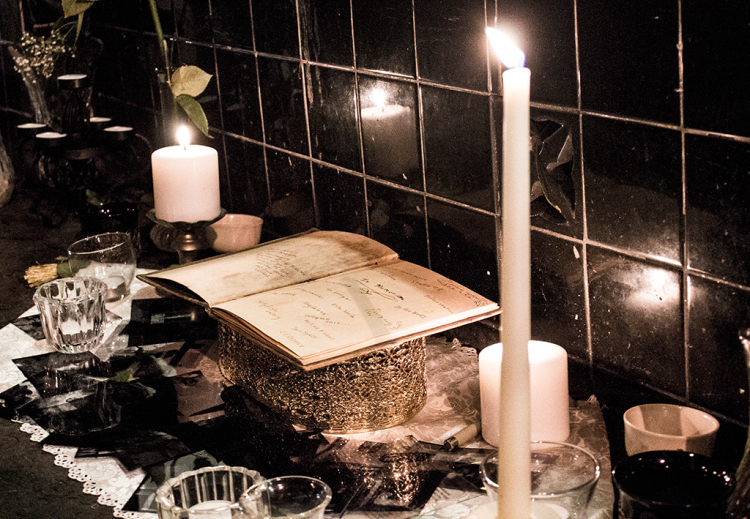 Her performance was accompanied by a memorial of flowers and candles dedicated to local businesses that have closed in recent years due to rising rents, and a guestbook for viewers. According to Jones, most passersby reacted positively to the piece, and many left notes and memories in the guestbook.